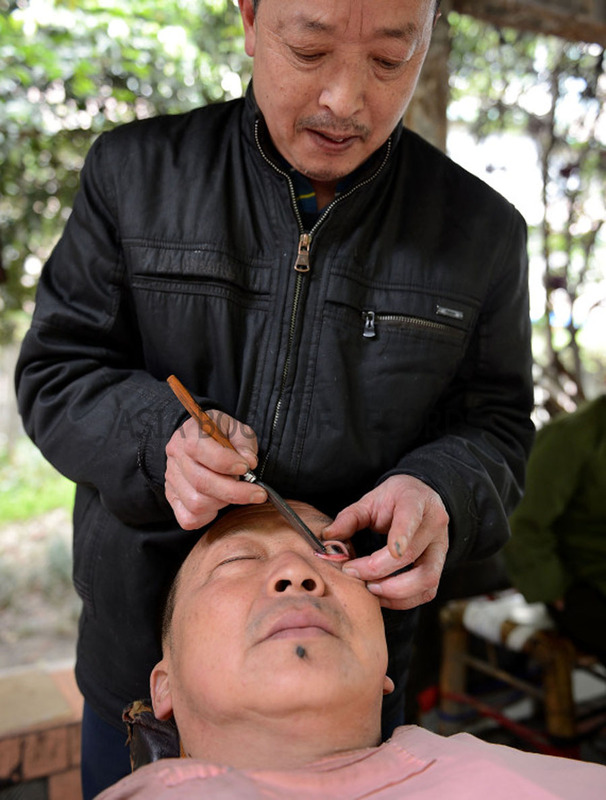 Liu Deyan (53) from China, uses a knife to clean the eyeballs of people. He runs an eye-cleaning stand in Chengdu, where his customers go to get their eyeballs cleansed through this ancient artwork. The process of cleaning the eyeballs takes about five minutes and involves pulling the eyelid back, cleansing the eyeball and then shaving and scraping its surface. In ancient China, it used to be the norm and today Deyan is one of the few that still practices the trade. Doctors warn that eyeball shaving was abandoned because it risks cross-infection. Comments for USES KNIFE TO CLEAN EYES are now closed.